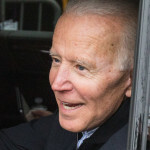 Former Vice President Joe Biden will join the crowded Democratic primary field with an online video announcement on Thursday, followed by an event with union workers in Pittsburgh on Monday, NBC News reported Tuesday. 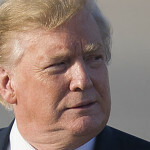 On the due date set by House Ways and Means Committee Chairman Richard Neal (D-MA), the White House said President Trump has no intention of complying with the request to turn over six years of his individual and businesses tax returns. 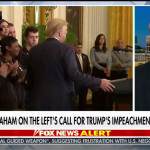 In his first interview since the release of the redacted version of special counsel Robert Mueller’s report, Sen. Lindsey Graham (R-SC) declared the Russia investigation is “over for me,” but predicted House Democrats will “stampede to impeach” President Trump. 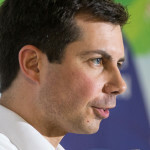 The political rivals of the previously under-the-radar Pete Buttigieg are scrambling to find dirt and develop ways to attack the South Bend, Indiana mayor, who had no national profile before he tossed his hat in the 2020 ring, NBC News reported. In a series of unhinged tweets on Tuesday morning, President Trump took his usual spout-off against the media in an unusual direction. 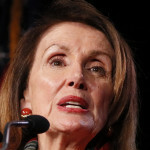 In a call with members of her caucus on Monday evening, House Speaker Nancy Pelosi encouraged her colleagues to pump the breaks on talk of impeachment, Politico reported. 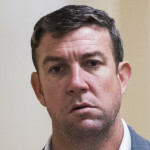 Indicted congressman and vape enthusiast Duncan Hunter (R-CA) posted a video on Twitter of himself pretending to crossing the U.S.-Mexico border in Arizona to show how easy it is. 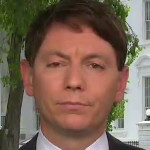 He then got called out for violating his parole, the Times of San Diego reported. 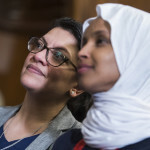 New White House strategy: Ignore Rep. Jerry Nadler (D-NY) until he goes away. 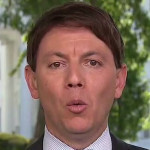 During an interview with Fox News on Friday, White House deputy press secretary Hogan Gidley told the network the White House will “not deal” with Nadler and his committee’s subpoena for the full unredacted version of special counsel Robert Mueller’s report. 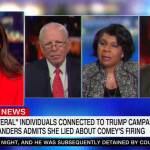 April Ryan, the White House correspondent for American Urban Radio Networks and a CNN analyst, has always had a rocky relationship with White house press secretary Sarah Huckabee Sanders.